Travelling Withlocals and Why I Think it's a Great Concept for India. If I were to make a list and thank all the local people who’ve helped me truly arrive at a destination, a single lifetime would not be enough. Yes, that’s what my yatras have done to me. They have helped me connect with people… people who are unknown, unfamiliar and nameless but people who know it all and are ever willing to share their knowledge - from the must-not-miss eatery hideouts you won’t find a mention in any of the guidebooks or the ‘best thing to do’ when you have got only a day to spend in their city. I simply call them the friendly neighborhood Samaritans - the unassuming and shy village cowgirl or the gregarious rickshaw puller, the benign woman selling flowers and that scholarly pandit busy chanting mantras for one of his clients – just some of the many portraits whose names I have never really cared to ask. And yet they come to occupy a large chunk of my memories because somewhere they have helped me color my experiences making my travels memorable: one thing that breathes life in my yatra. These people or the Samaritans that I am talking about are none other but the friendly locals of my land, India. India, as a country, can come across as daunting not only to a foreign tourist but for a resident traveler as well for all the verdant diversity it offers. Just stepping in a different city can throw open a whole wide world at you. The healthy profusion of cultures, traditions, dialects, foods, the list of things to do and visit is incredibly impressive but at the same time also paints a picture of chaos and disarray leaving one jagged and confused. That’s where locals can help out and help, in a big way. I know that can sound clichéd especially when talking about a country like India but it’s all about the choices you make. Strike the right connections with the right people; and the true mystical magical India reveals. So, you can imagine how and why the concept of Withlocals.com and the news that it’s coming to India got me all rolled up to write a piece about it. A peer-to-peer marketplace where local people offer homely experiences and regional familiarity to travelers, Withlocals seems to have hit the bull’s eye by visualizing a space that erases cultural border gaps so that travel experiences can thrive in a friendly manner. Travel is so much about people and this is exactly what forms the core of the vision set up by the team of Withlocals. Travelers, for their part, seek experience and locals, for their part, are always happy to share: Withlocals is that bridge that aims at connecting these two aspects together thus creating authentic connections that thrive in a fun, friendly, unique and sustainable manner. Keeping promise with this vision, Withlocals is themed around three ideas namely Eat, Tours, and Experience. 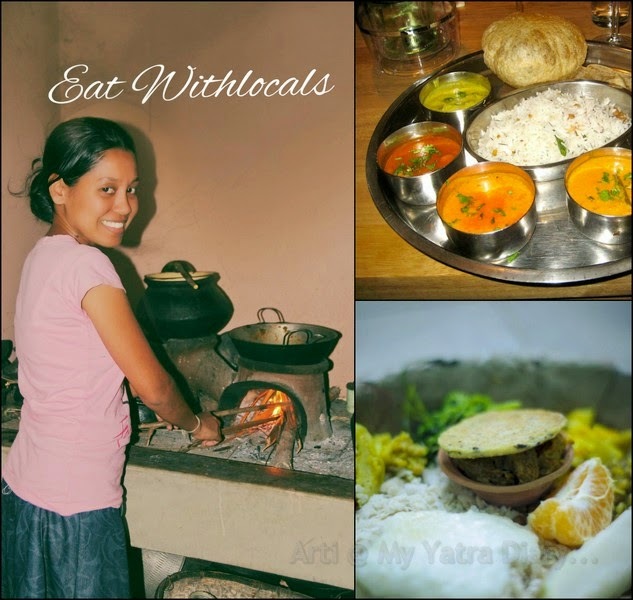 Eat Withlocals offers a delicious dining experience immersed in the city you are in, in the comforting environment of a home. There is really no substitute to a home cooked family meal. The personal touch of love, warmth and affection can never be replicated in five star restaurants or traded for any amount of money. Geared up with an objective to facilitate over 10,000 ‘home restaurants’ In Asia, the team at Withlocals seem dogged on intensifying the mere act of eating into evocative travel meals that serve as a memory for a lifetime. In most circumstances, we rely on guidebooks or the internet when chalking out our exploration itinerary for ‘Things to do’ and ‘places to see’ in a new location. Though these options are pretty good but the thing is most often, they show us only the way to the trodden path missing out the local essence of the place. 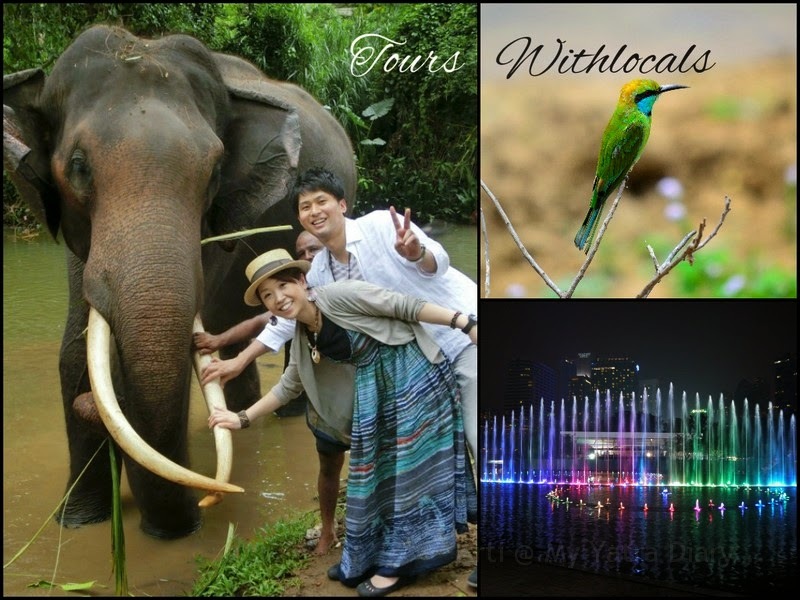 Withlocals solves this problem by taking the help of the local people who indubitably make the best tour guides for all the knowledge, love and passion they embrace of their homeland. 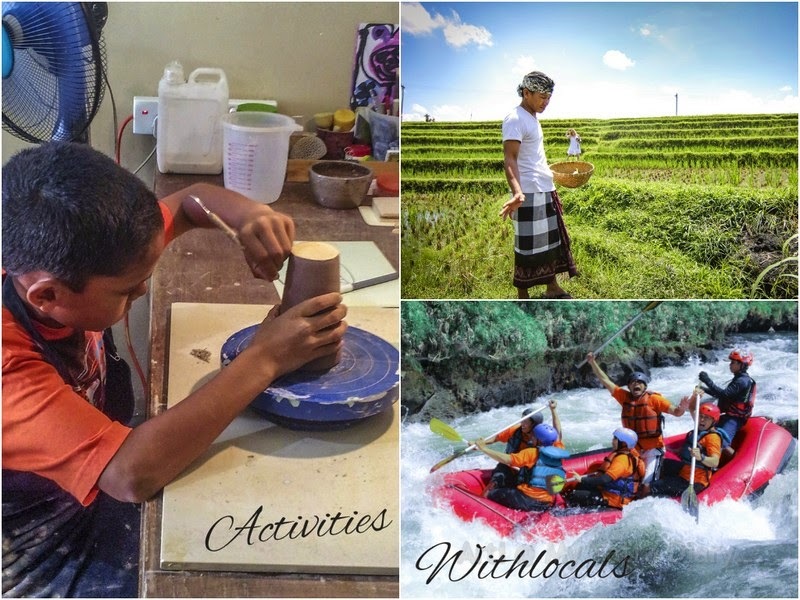 By offering a marketplace where the travelers get to experience authentic expeditions led by really passionate individuals, it’s nice to see the team at Withlocals paving the way to sightseeing as a novel and a fun experience. This has to be my favorite of all the three activities – experience Withlocals gives you an opportunity to drive past all our inhibitions and actually do something the way the locals do. Yes, you heard that right – DO! The satisfaction and thrill derived from learning a new skill or getting involved in the local culture can form such a big aspect of our travels especially when travelling to foreign locales. For now, you can choose from a plethora of activities that range from driving a tuk-tuk to carving your own musical instrument and indulging in extreme sports. With it’s launch in India soon, I can’t wait to see this marketplace as a big cultural fest booming with an abundance of interesting skills and extraordinary experiences since India boasts of such a rich cultural heritage and individuality. Highlight of the Withlocals concept and what it means for a country like India? India, as we all know, can be a land of myriad ironies where one moment hearts swell in pride to know how talented and competent so many people of this country are and the very next moment, hearts break in disbelief to see so many of them going unnoticed and unappreciated in the due course of time resulting in their poor economic state and substandard conditions of their living. That's precisely where I am pretty excited to hear that Withlocals will soon be expanding their concept in southern India. By far, Withlocals strongest suit is that of empowerment by giving each host a separate space requiring them to directly represent themselves and their hometown. The idea is to seed travelers in the concept of genuine local-ised traveling in India by creating a economically sustainable conduit between the two. To me, this strategy seems to be checking boxes at many levels so that they fit in seamlessly: a country, India, rich in cultural arts; the grinding poverty of the smaller towns, the getting together of the community, the economic push derived by the people - see a pattern? There we go. An emerging generation of conceptual hosts now having a market place of their own, where they connect such that it makes a social and economic difference not only to their own living but to the lives of others as well. Bring it on, I say. Interested in exploring more for yourself? For now, you can do that by expressing your interest to become a 'Host' or a 'Brand Ambassador' for your region. Withlocals team is looking for hosts and brand ambassadors prior to its launch in southern part of India and is calling out to anyone who's passionate to make new friends, earn money and offer local experiences! Unfortunately, as of now, I don’t fit the bill as I reside in the western region of Mumbai but if you think you have it in you, all you need to do is sign up here: https://www.withlocals.com/locations/india/ Not only will you gain a big packet of happiness by making someone’s travels memorable but also make some income by following your passion. Disclosure: This article is written in collaboration with 'Withlocals'. I endorse only those services that I believe in. All opinions expressed here are purely my own. A shame you don't fit the bill as with your passion for people and places not to mention eye for a great photo I think you'd make an ideal ambassador. A place is best explored with the locals. 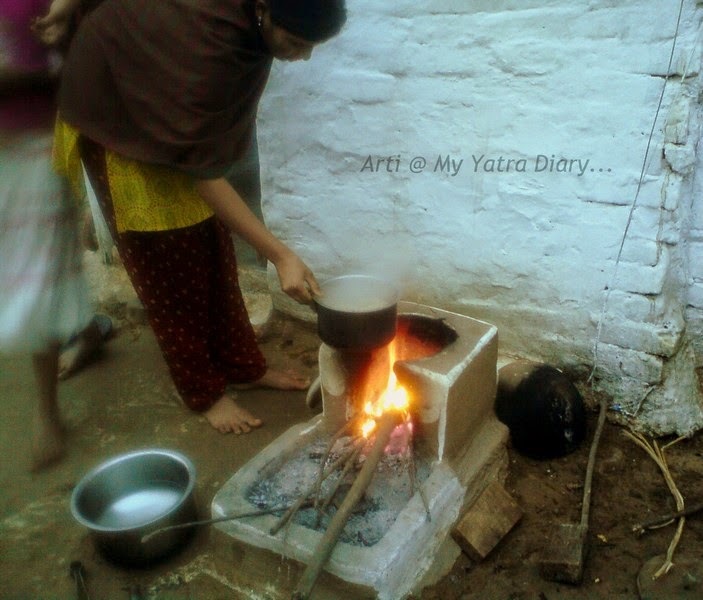 The nuances of a place comes out only when you are with a local. They are the best guides. Nice write up, Arti. Arti, Just read the post, Thank you so much for sharing. Sonds like such a great idea. In a way you are living more of the culture then to just experience it. It be you will take away so much more this way. Dear Arti, i love this concept - getting in touch with locals makes travelling real and you get to see things form a different angle, make friends etc. In my eyes, what travelling is about! Hugs for a happy weekend! This is an awesome concept, Arti. Just last month my gang was discussing the shared-economy concept and that it could catch up in India. If this works out, nothing like it! Thanks for sharing this. Must keep an eye on the site. Dear Arti - This is a nice concept. In Japan, there are similar systems; one of them is SGG which stands for Systematic Goodwill Guide. Almost every prefecture has that organization independently. I was a member of Nara SGG in the past and helped around foreign tourists not only sightseeing but also experiencing local culture like making a roof tile, ceremonial tea, being dressed in Kimono like a medieval princess, introduction of local cuisine, and so on. It’s being a kind of private diplomat. There are also Japanese goodwill guide who help around Japanese tourists from other regions. Past week was one of the most eventful weeks for me ranging from overnight trip to Nagano, mother-in-law’s first memorial, to meeting a blog friend Jenny from England. When walking with her and her husband, I remembered the time walking with you in Kyoto, Arti. It’s so nice to share the places I love with overseas friends who will be pleased with the things only locals know different from the guides of major tourist agencies. Staying with locals is one of the best travel options in my opinion. I have stayed with local families in Himachal, Kerala, and even in Bangalore and each time I had a great experience. This is one of the best way to have a win win situation for the traveler as well as local communities. Sounds like a good idea. I normally do not like to travel with too many people but eating at locals' sounds very good.